A concrete mixer is a device used for mixing and pouring cement. The rotating drum of a concrete mixer can be tilted down to put mixed concrete into a wheelbarrow. 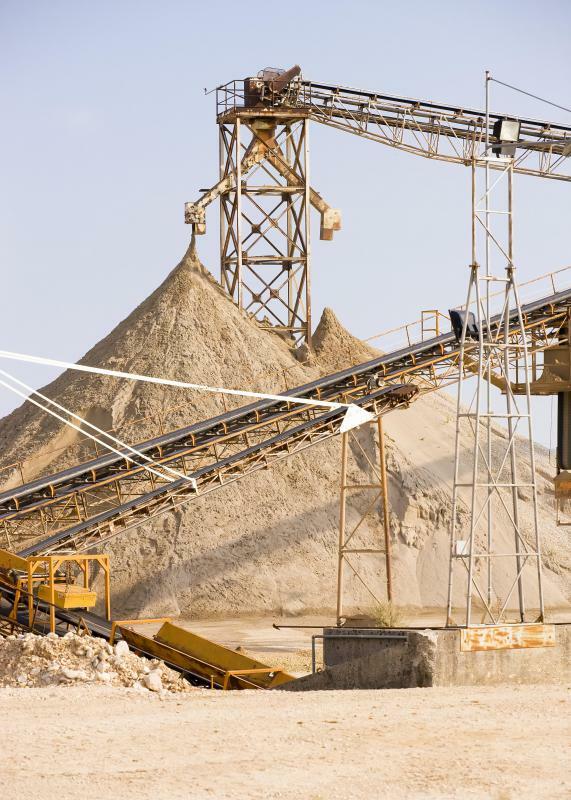 Ready mix concrete companies have massive piles of sand, gravel and other aggregates stockpiled on the grounds. A concrete mixer is a powered device that mixes cement with water and aggregate, such as sand or pea gravel, to make concrete. Concrete mixers range from the very large commercial mixing truck to the smaller, portable concrete mixer sometimes called a “mini mixer”. The mixer is comprised primarily of a motor, a rotating drum, and often a chute. Inside the drum, the materials used to make concrete spin around, mixing together evenly and remaining soft for application and forming. A large commercial mixer truck is used for mixing and transporting large volumes of concrete for use on a building site. 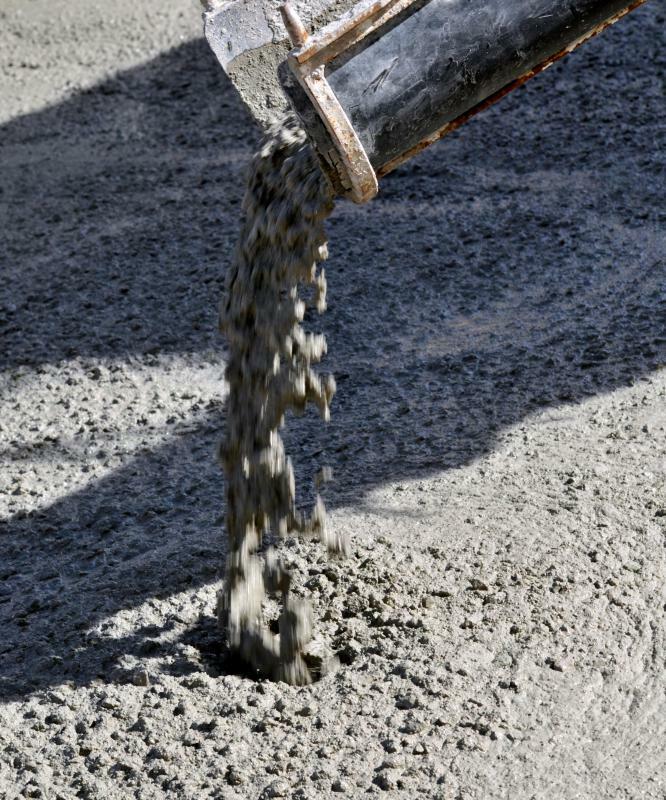 For smaller volumes of concrete, typically up to two cubic yards (1.83 cubic meters), a portable mixer is sufficient. A portable mixer is typically powered by electricity and sits on a base with wheels for easier transport. 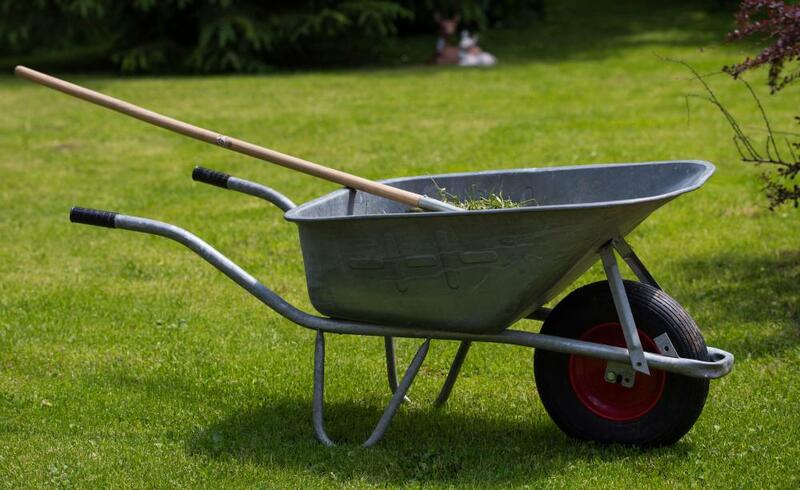 The rotating drum can be tilted down so that mixed concrete can be poured into a wheelbarrow. For homeowners attempting small concrete projects such as a patio, sidewalk repair, or small slab, a portable mixer is essential to maximize efficiency. 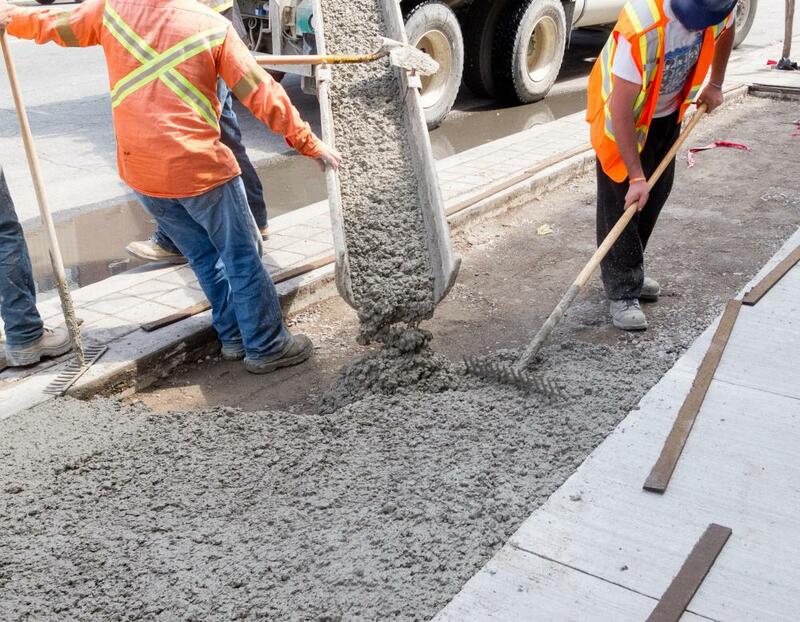 A concrete mixer does not keep concrete ready for application indefinitely, so it is important to have an understanding of how much concrete you can pour and finish within a specific time frame. Different types of concrete set faster than others, so check the manufacturer’s directions. Larger projects, such as a driveway or basketball court, may require calling a commercial truck. Commercial concrete mixers require access to within a fairly close distance of the project. In-ground swimming pools are an example of a large-scale project requiring direct access by a truck. Understand that calling a concrete company only secures delivery of the concrete. Pricing is a flat rate per cubic yard ordered and the truck will remain on site only for a specified period of time. Large projects may require professional concrete finishers to accomplish the task within the time frame provided. Before calling a concrete company, be sure to have finishers on site and ready to pour, and don’t forget to obtain any permits necessary in your area. What is a Concrete Batch Mixer? What is a Batch Mixer?